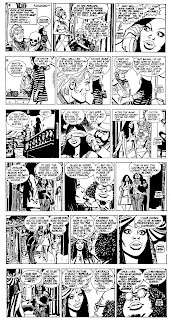 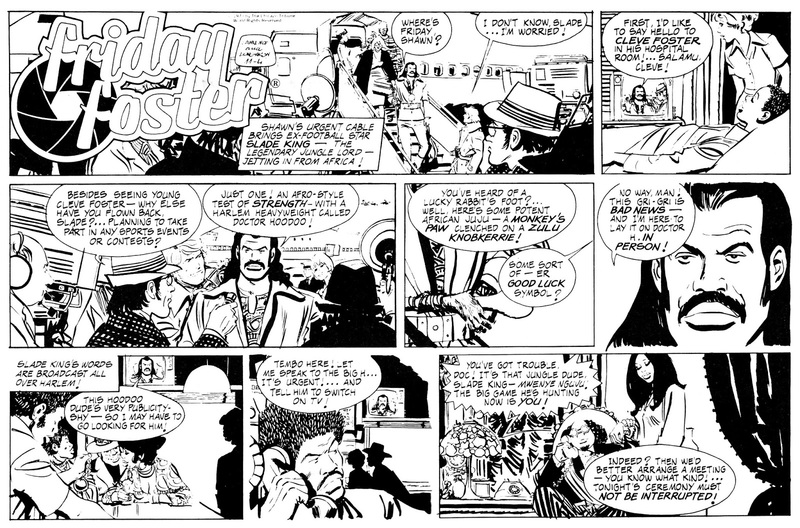 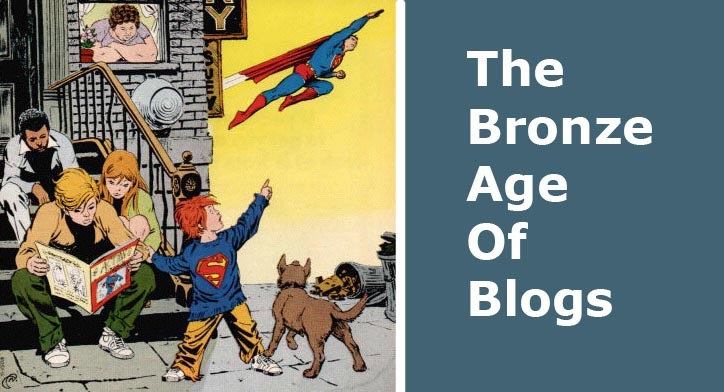 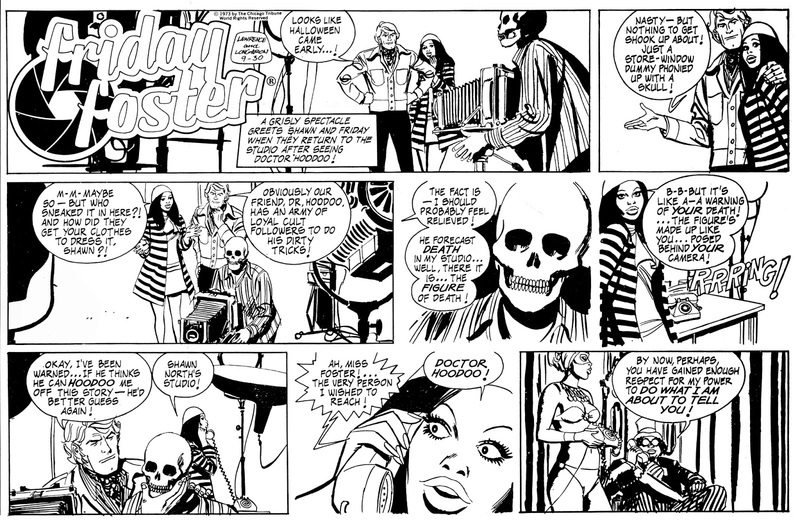 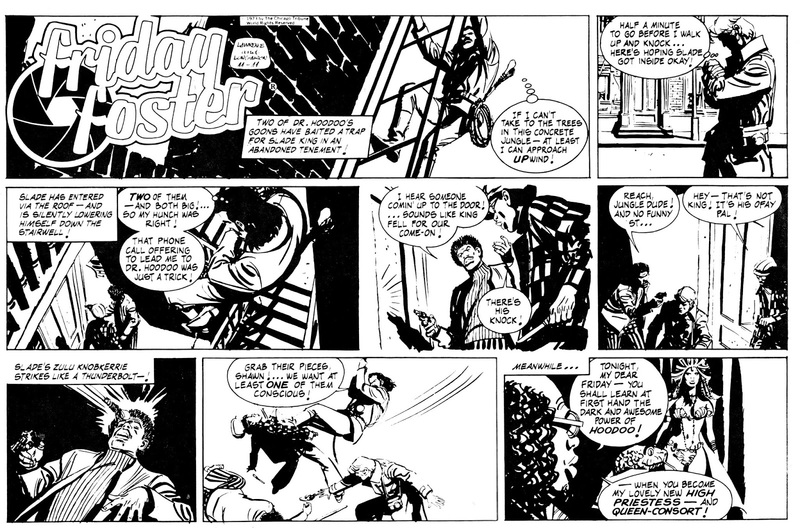 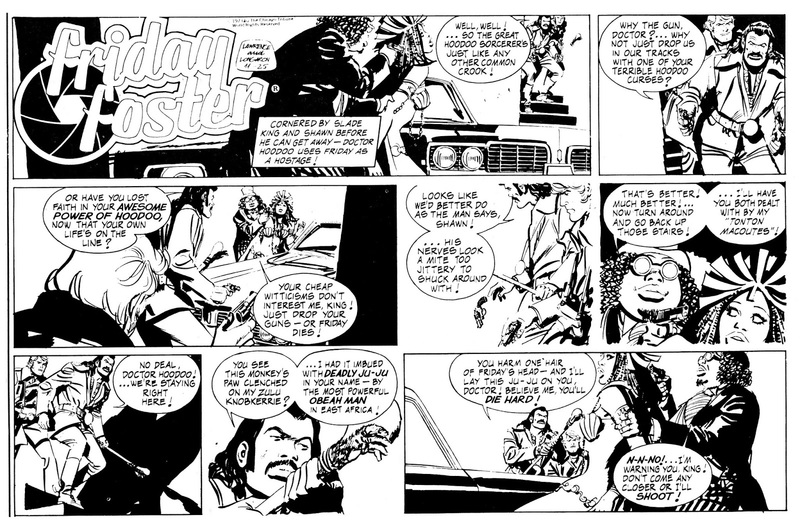 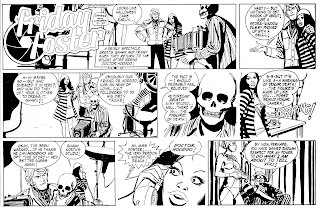 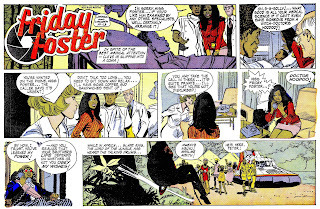 Y'know, the last time I posted some Friday Foster on this here blog, I actually got more views than just about anything that doesn't have the names Kirby or Steranko in it. Well, my mama didn't raise no fools, so here's Friday again, this time getting involved with self-proclaimed master of Harlem black magic, the mysterious Doctor Hoodoo. 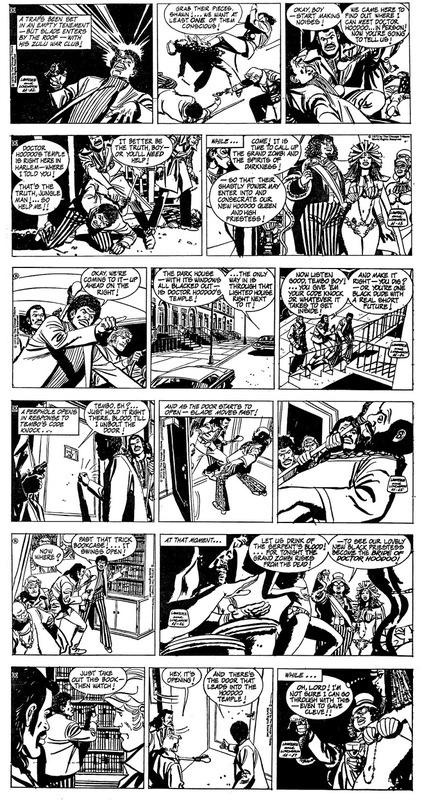 Not enough blaxploitation action for ya? 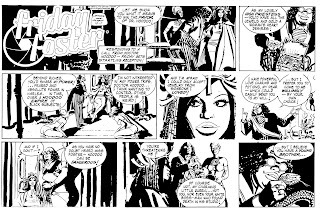 Ok, howabout the fact that to break the bad Doctor's curse, our gal calls on the aid of Slade King, football star and black lord of the jungle? 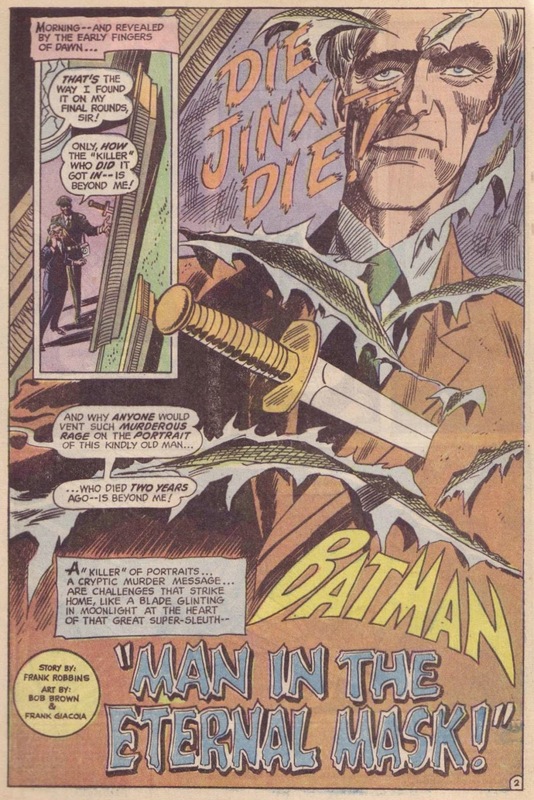 He'll lay some righteous vengeance on that jive mutha. 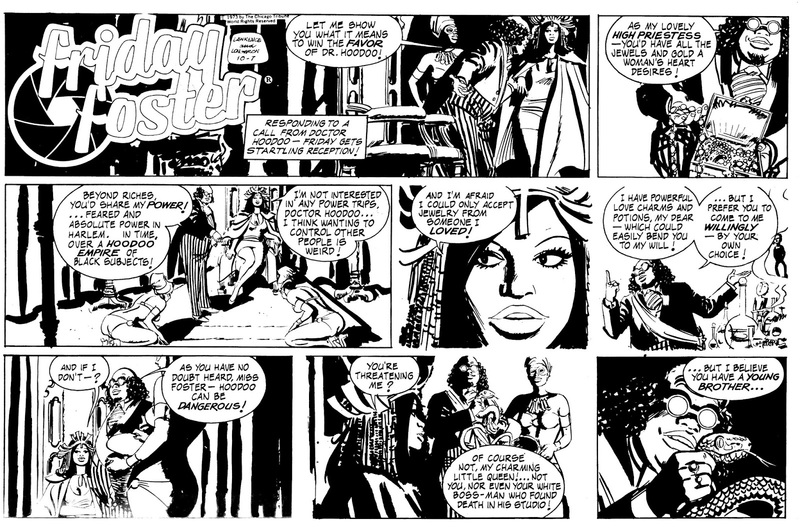 Sweet, and indeed, sister! 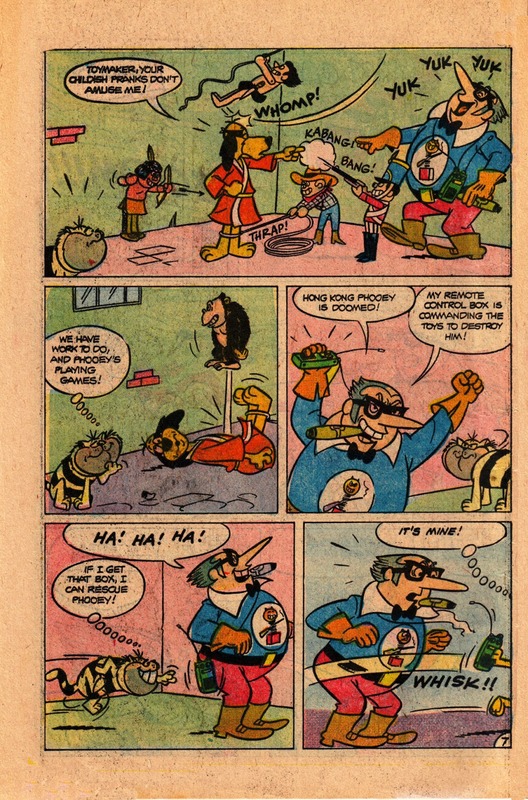 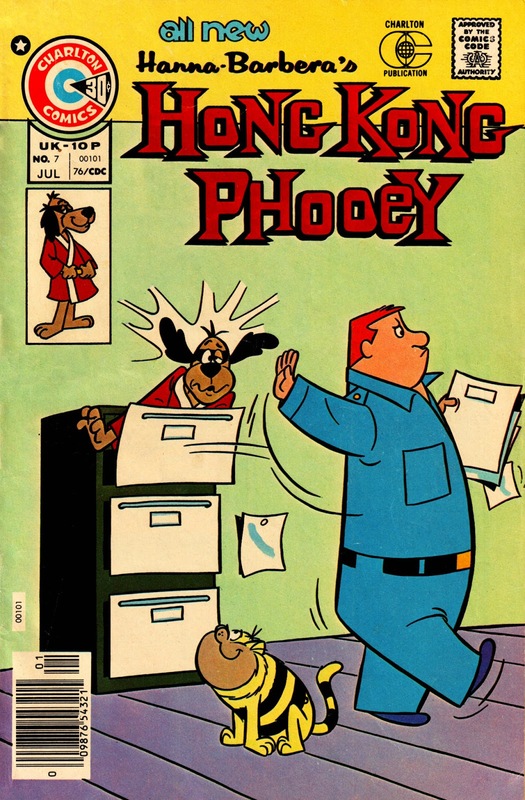 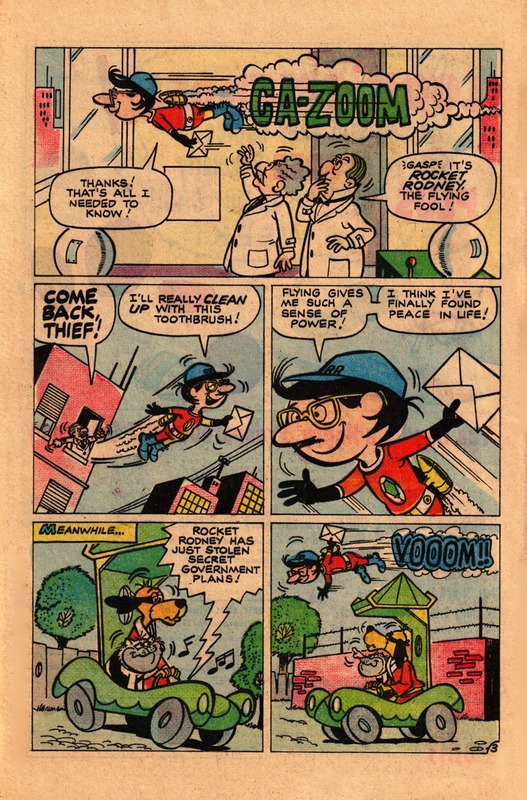 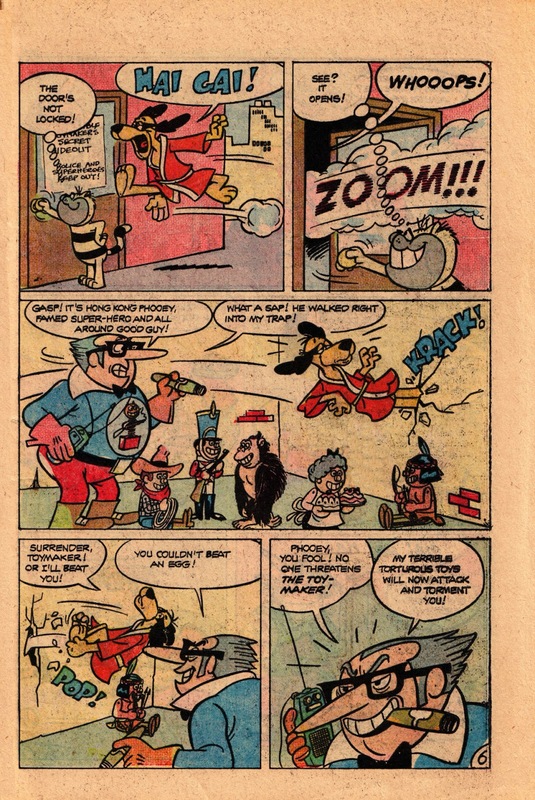 The greatest Kung Fu superhero of the Bronze Age was, of course, Hong Kong Phooey. 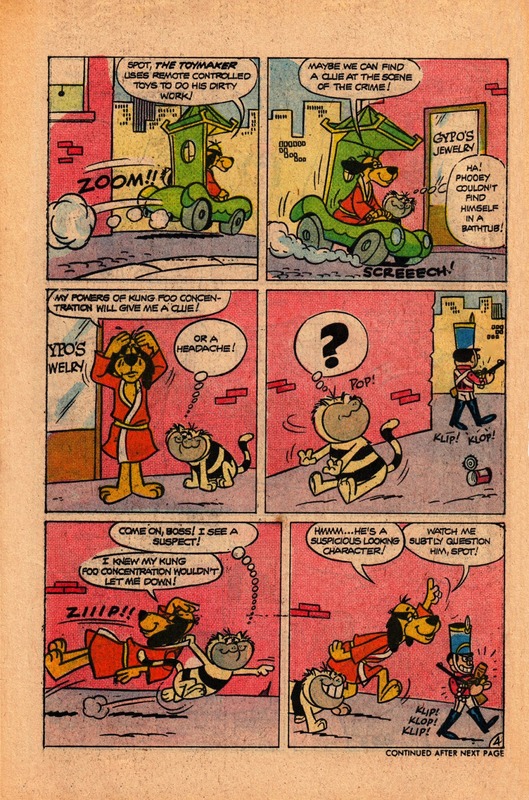 After all, even The Sons Of The Tiger never got their own theme tune, number one super guys or not. 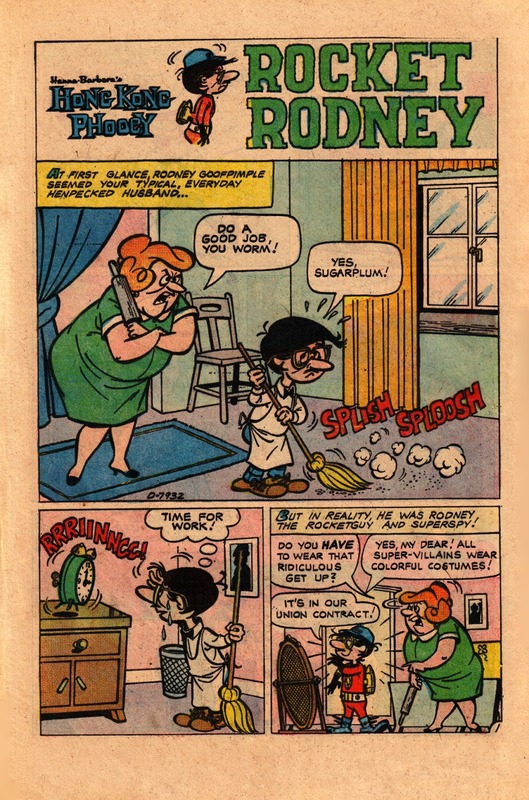 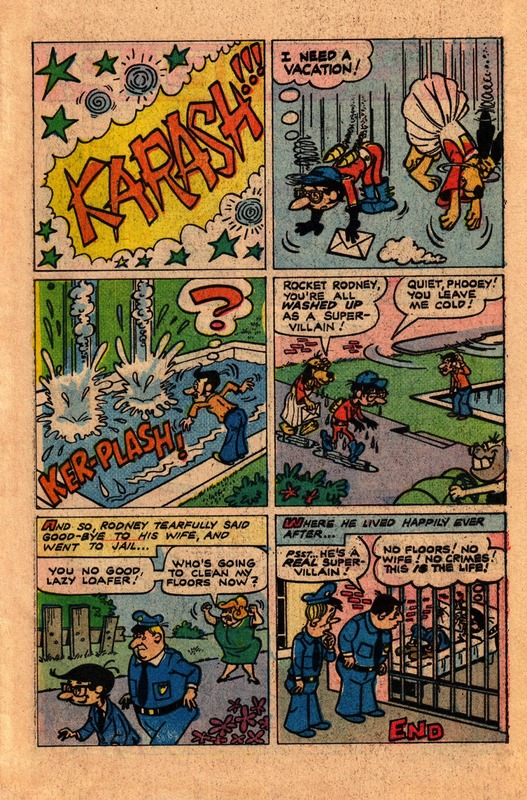 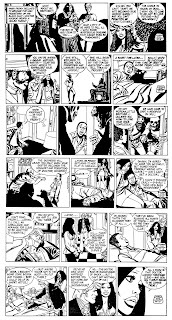 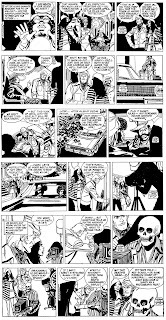 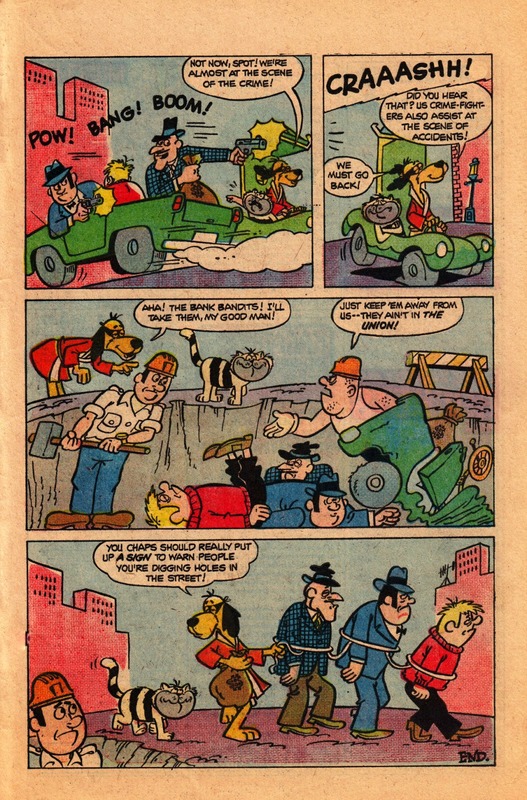 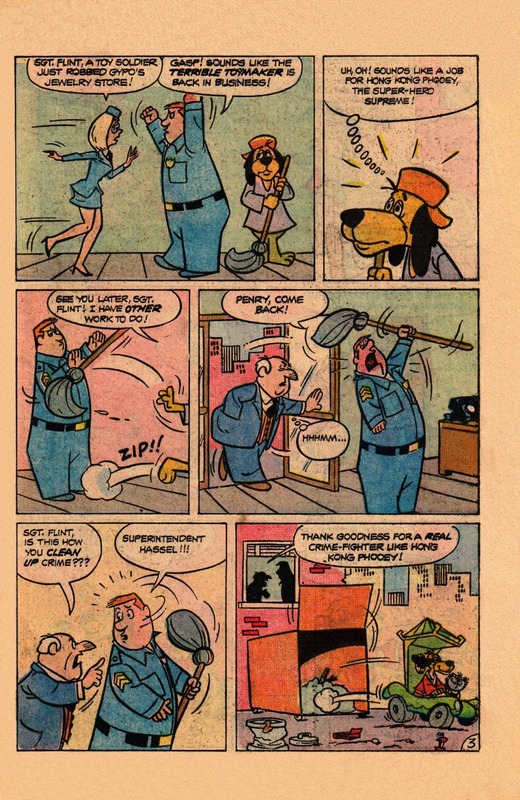 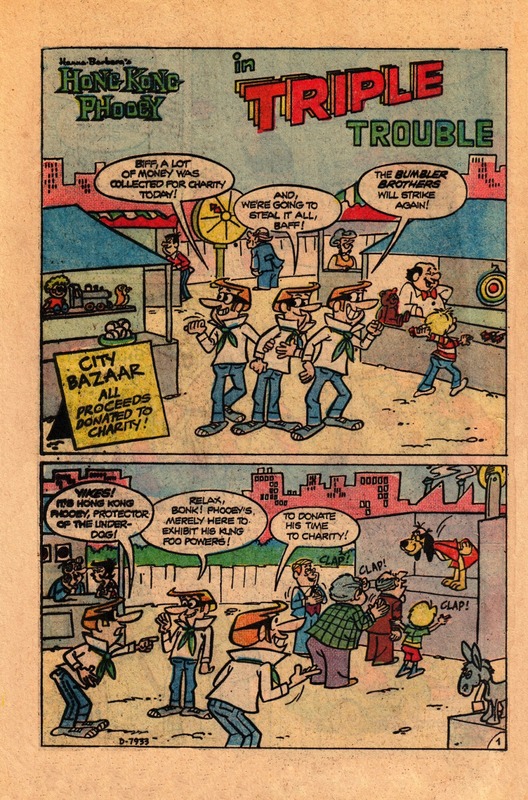 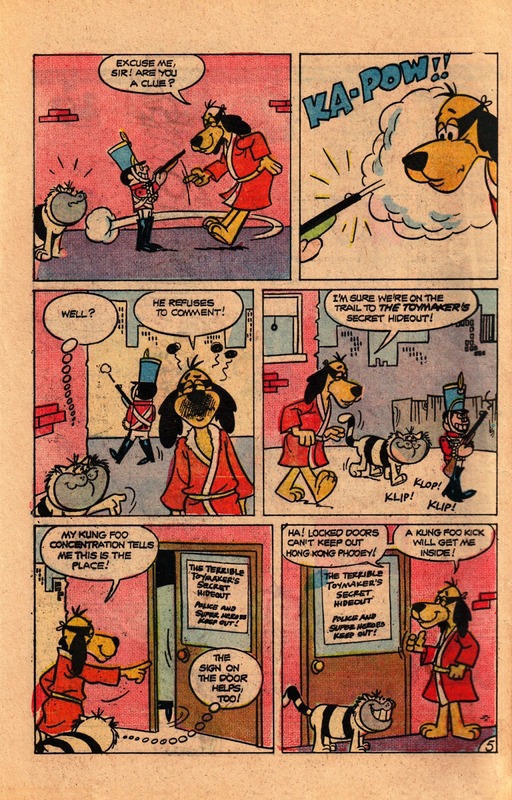 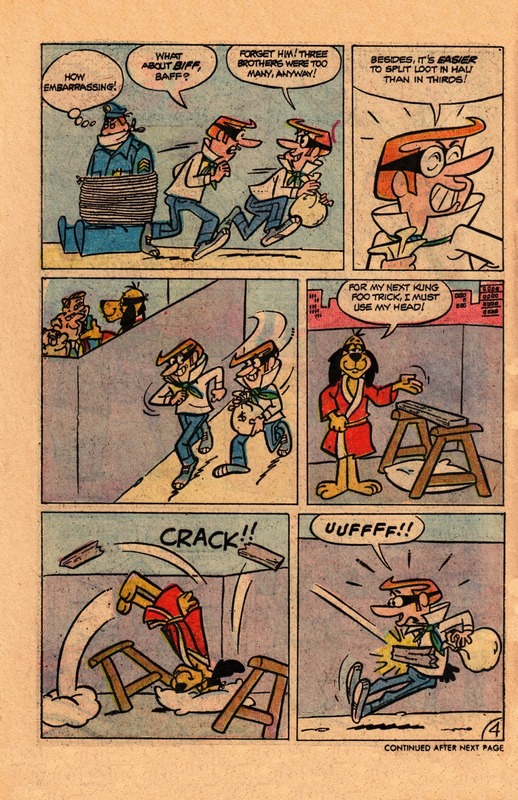 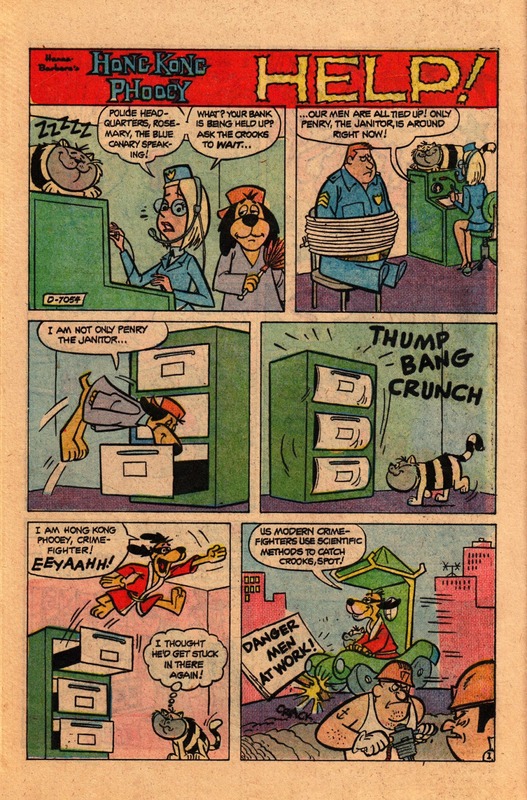 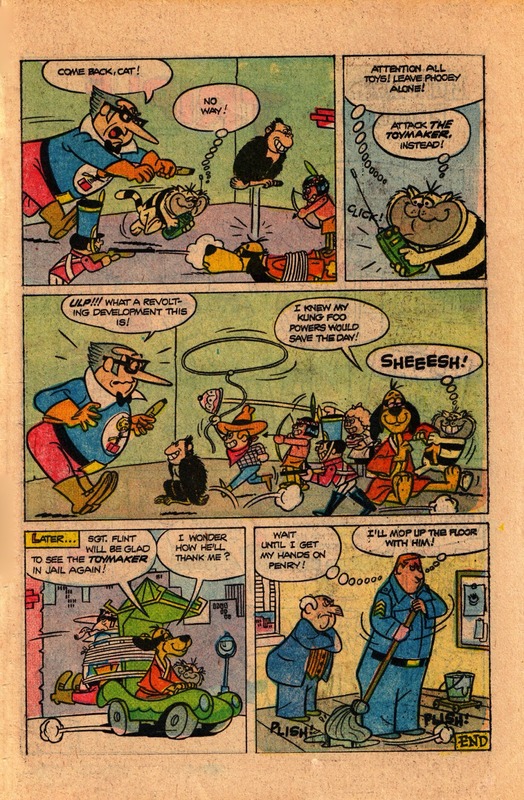 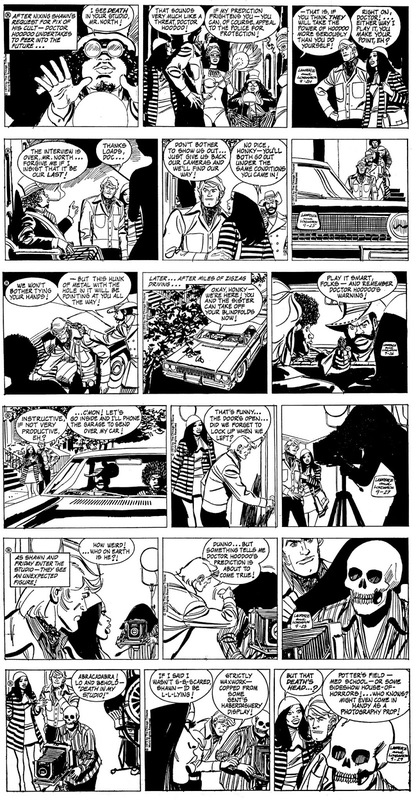 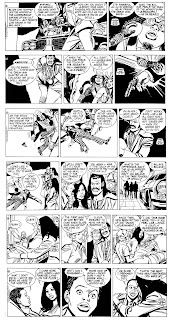 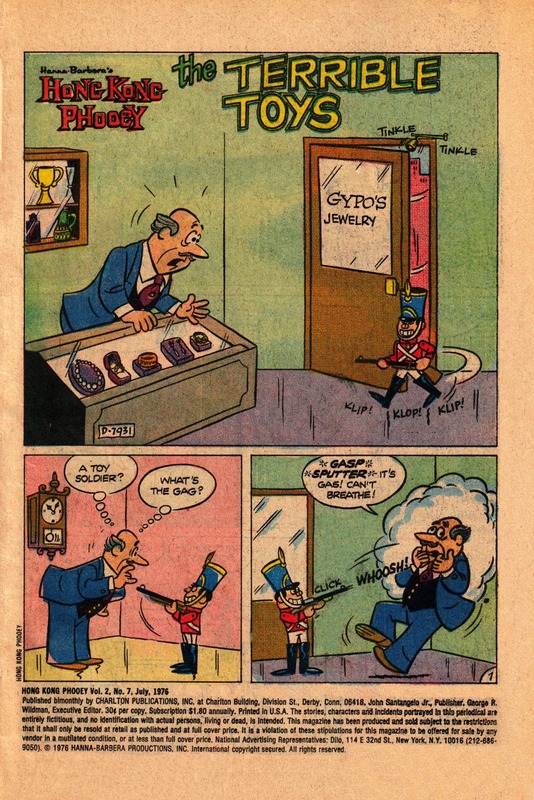 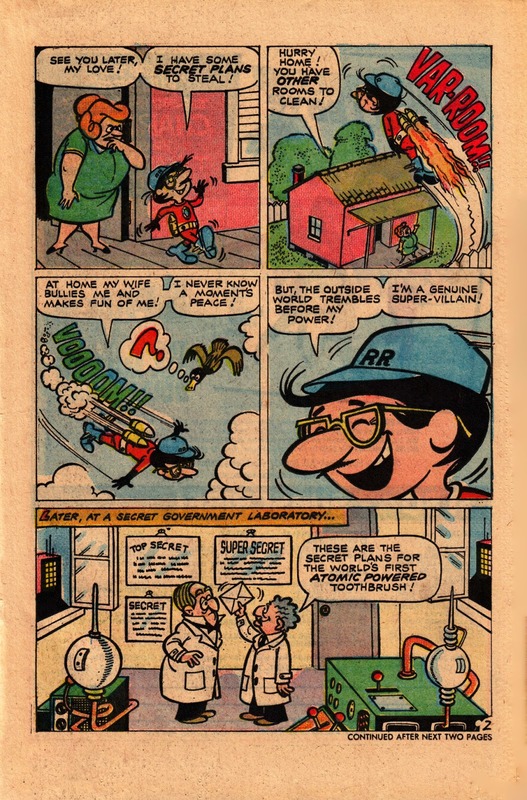 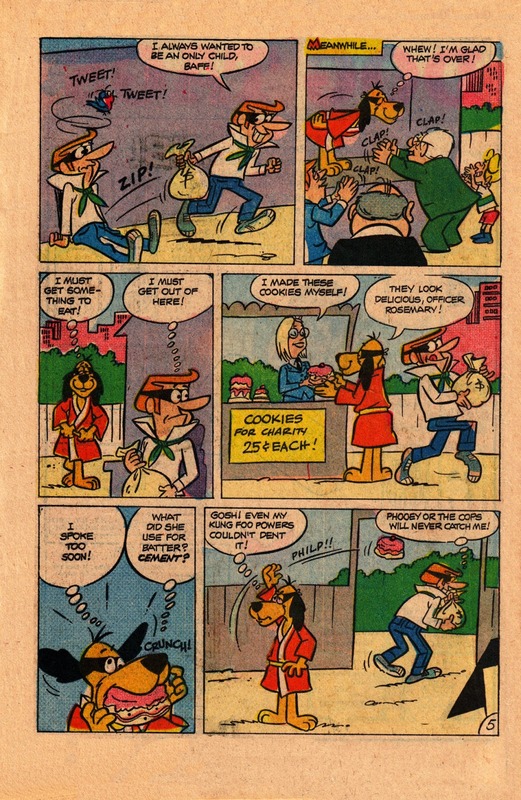 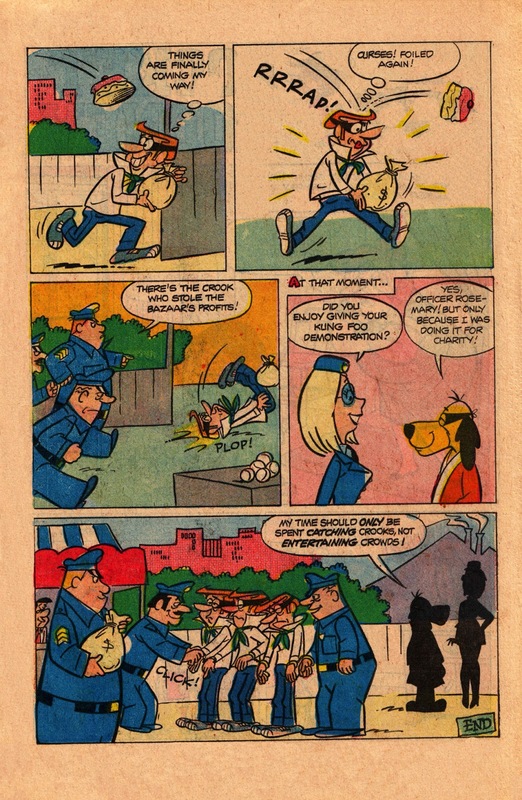 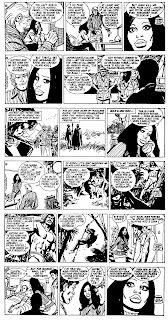 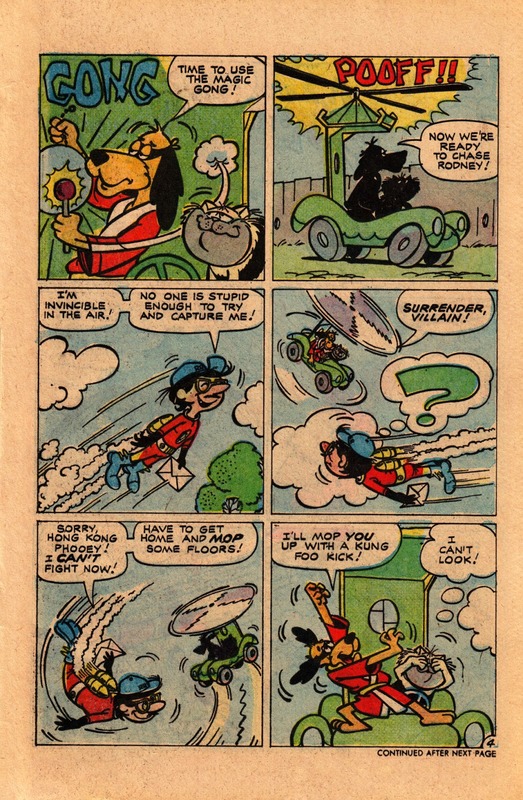 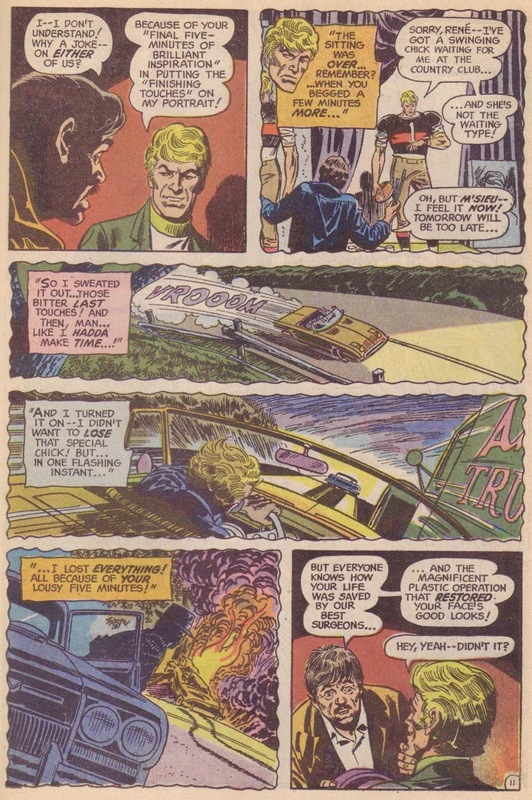 The mighty mutt got his own comic too, courtesy of Charlton, and it's quite nicely drawn, even if you do miss the unmistakable voice of the late, great Scatman Crothers. 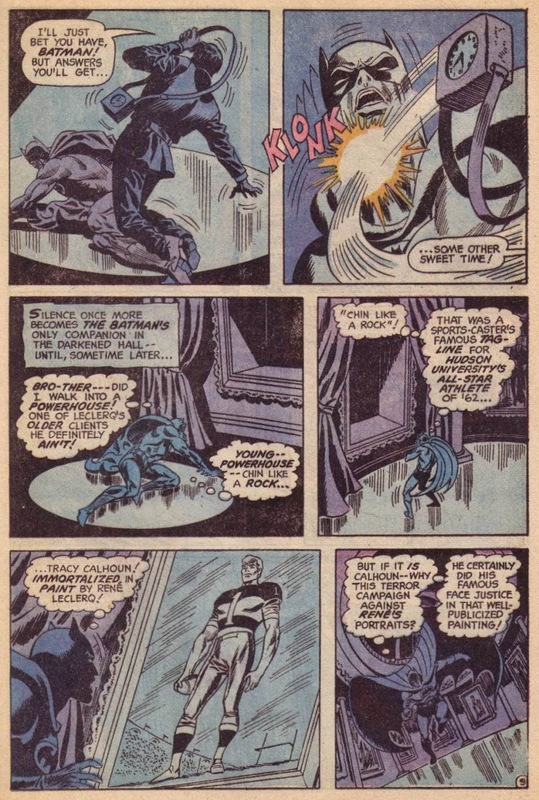 Not to worry though, you won't be able to read this without hearing him doing the dialogue. 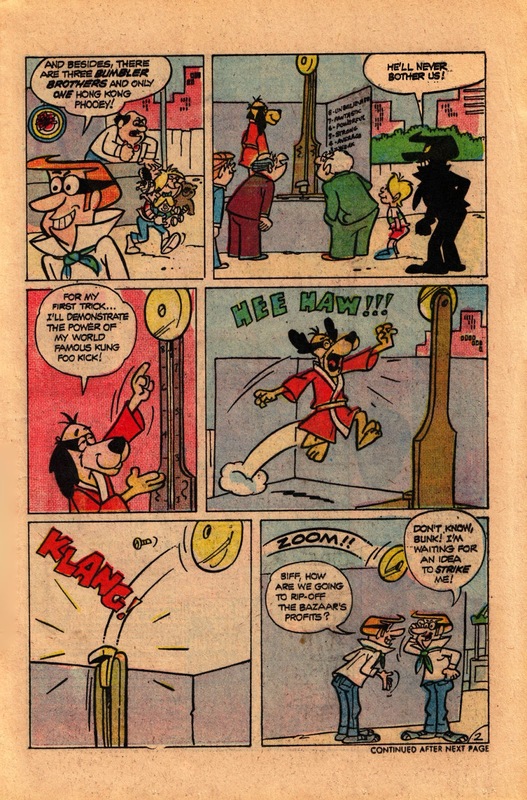 There are a couple of questions here though: How did I never notice that Hong Kong Phooey & Shang-Chi get their outfits from the same shop? 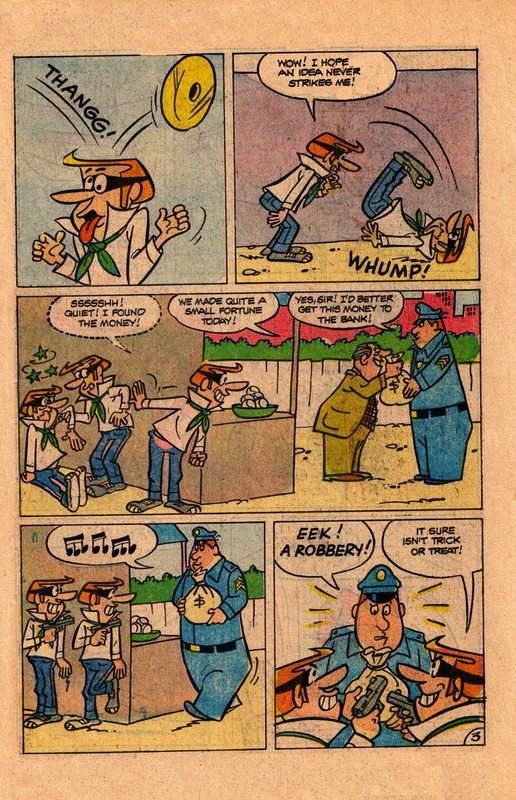 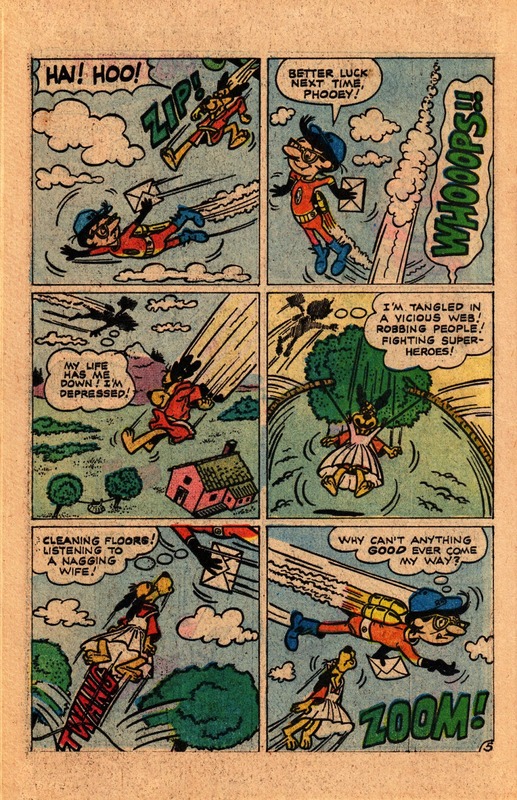 And why is George Jetson and his twin brothers the bad guys in the second story? 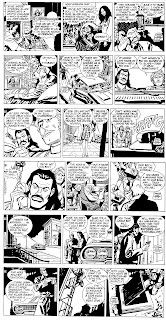 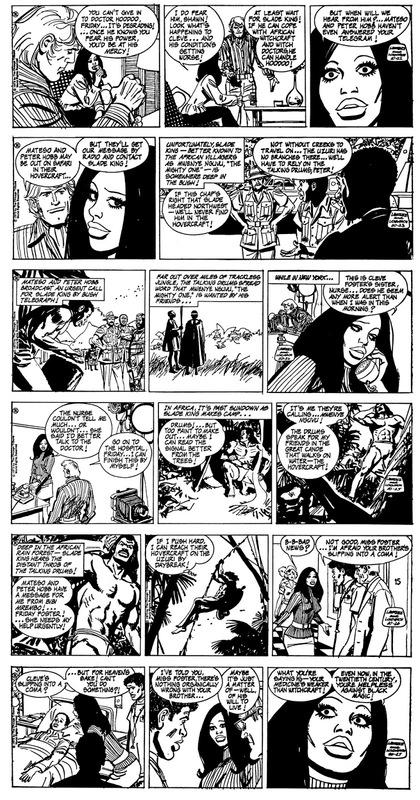 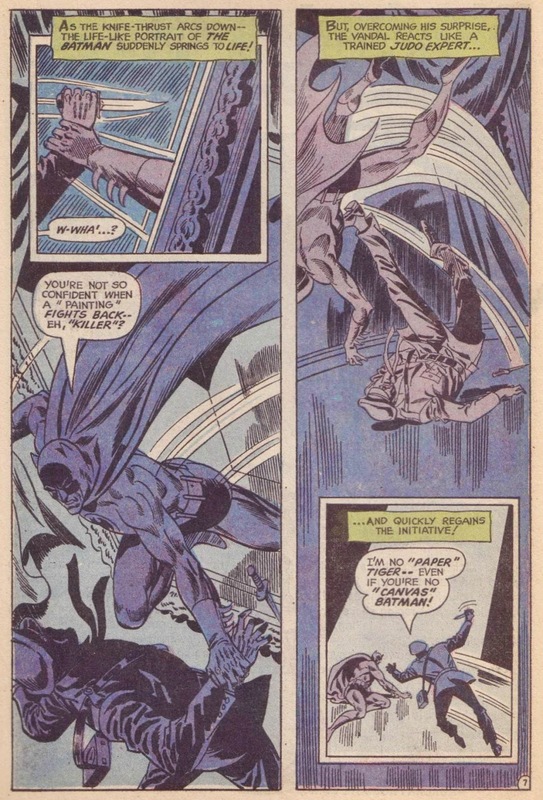 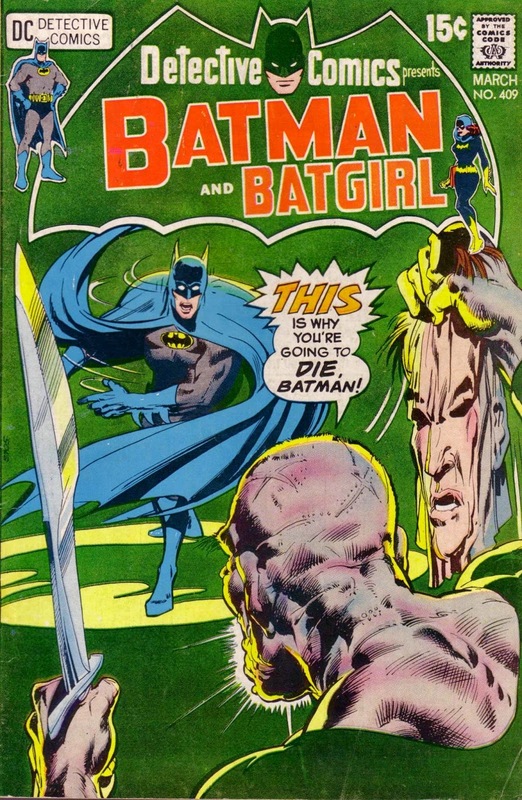 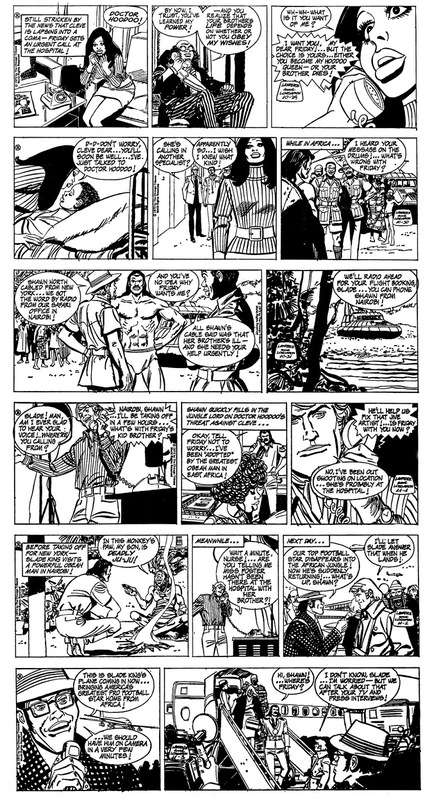 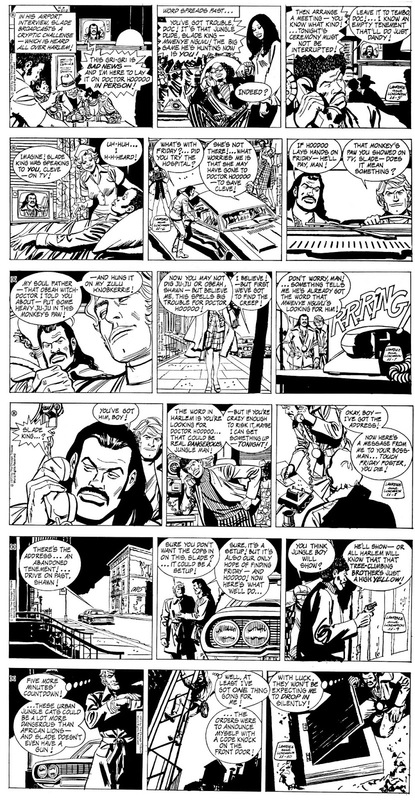 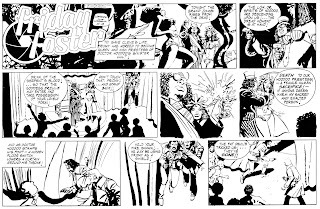 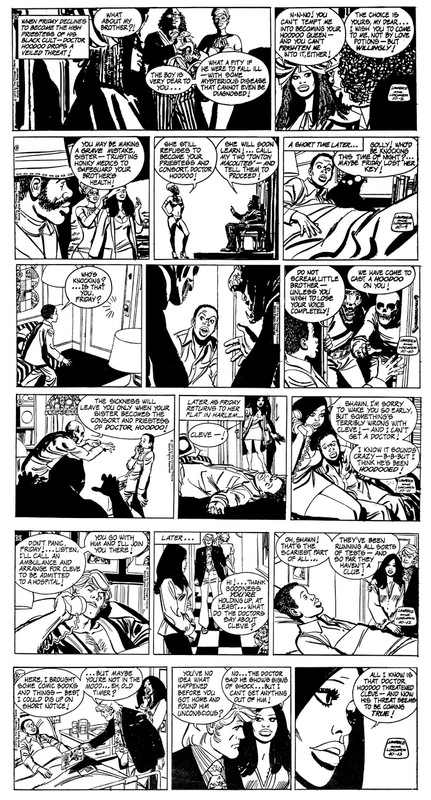 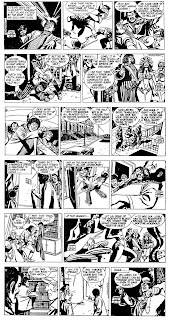 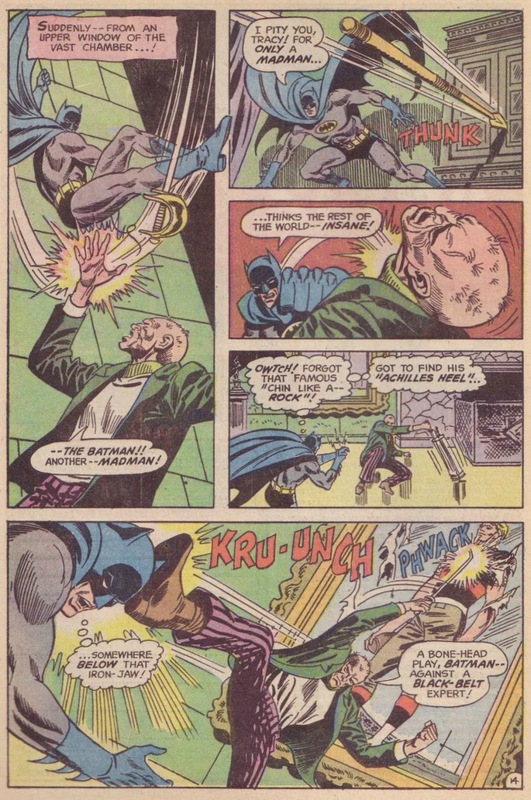 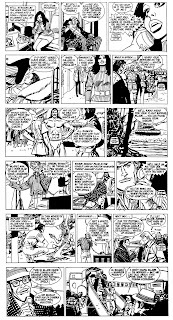 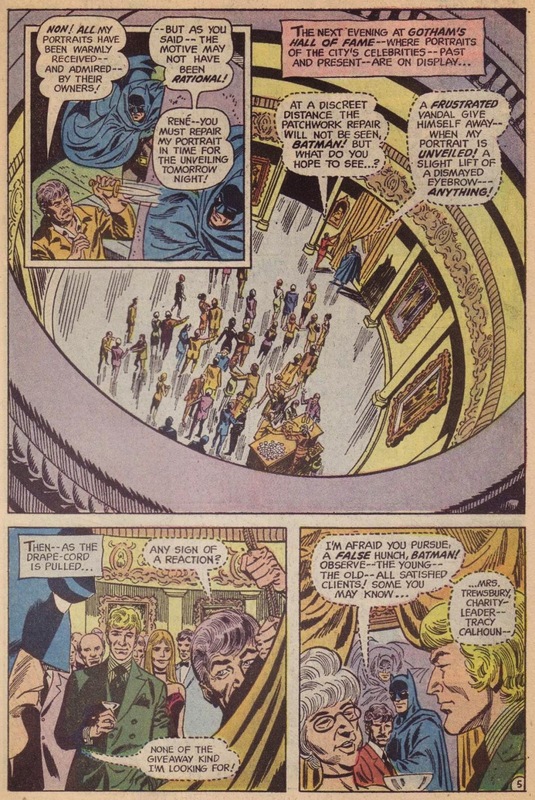 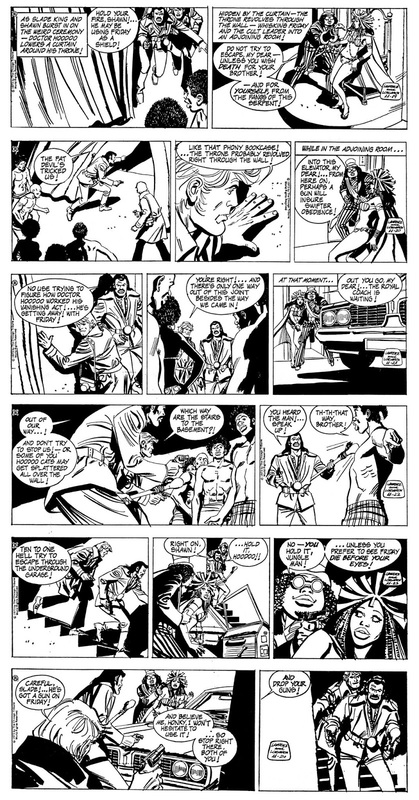 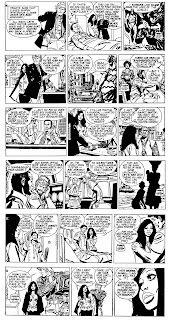 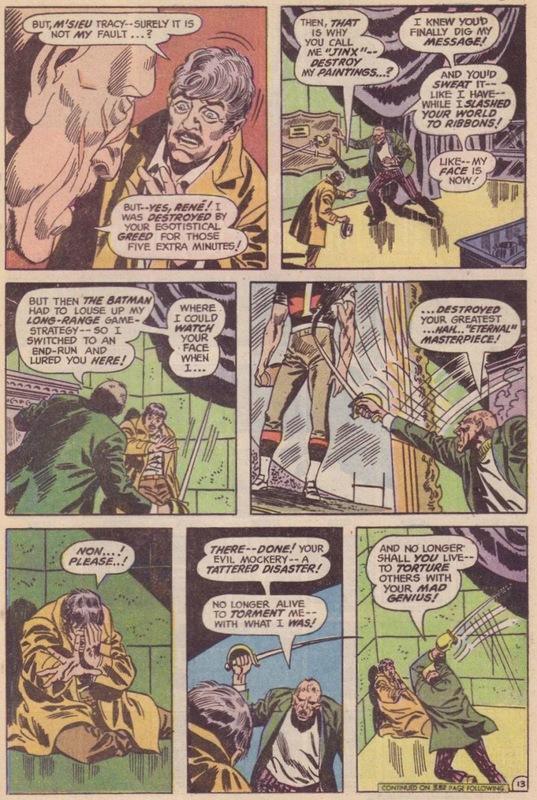 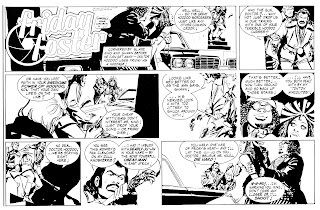 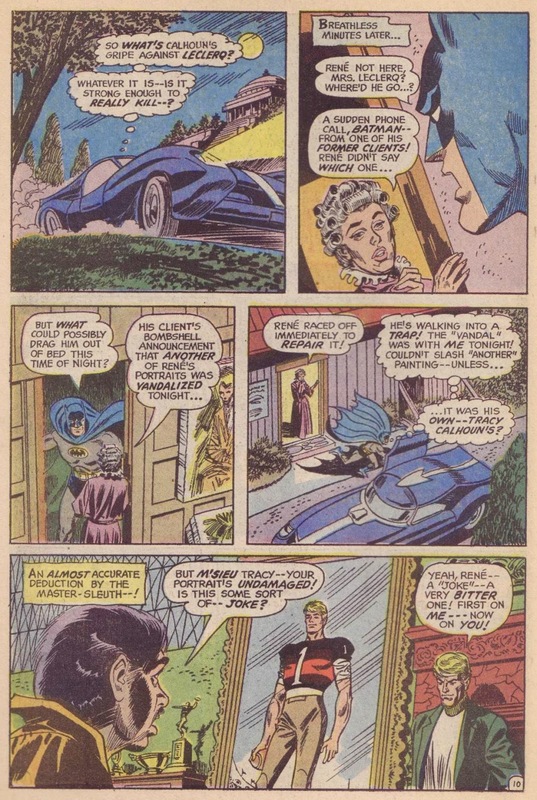 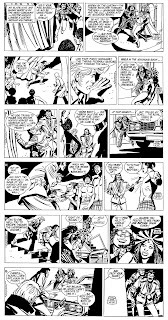 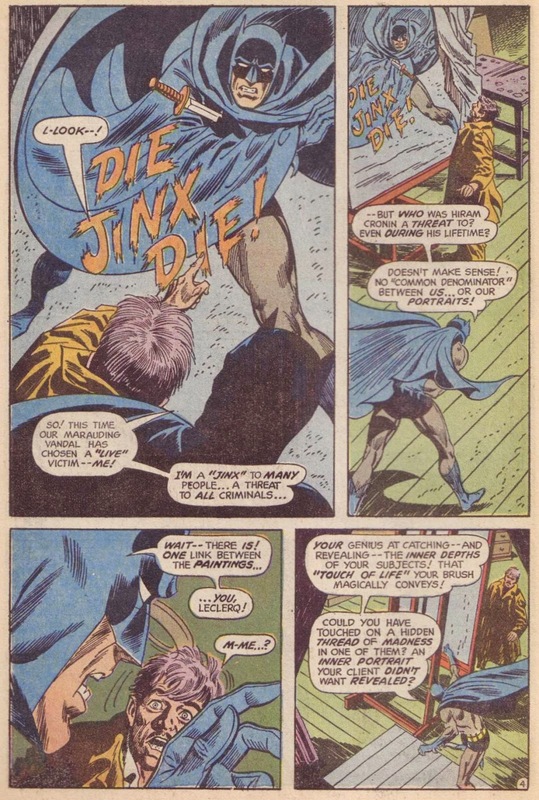 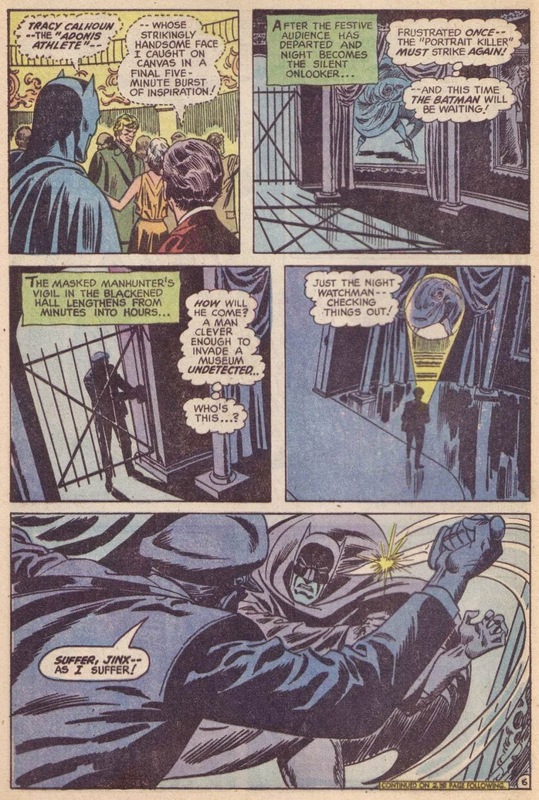 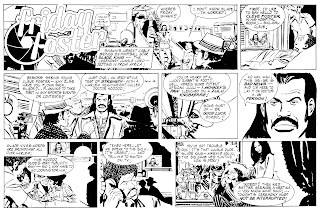 Here's a great, operatic tale from Frank Robbins' time on The Caped Crusader, with the perfect pairing of Bob Brown and Frank Giacoia on art duties. 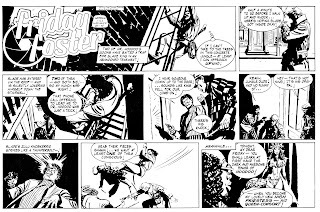 And like many a story on this site, I first read this tale in a hardback UK Christmas annual, so even though there's no real surprises here, I'll always regard this piece with yuletide affection. 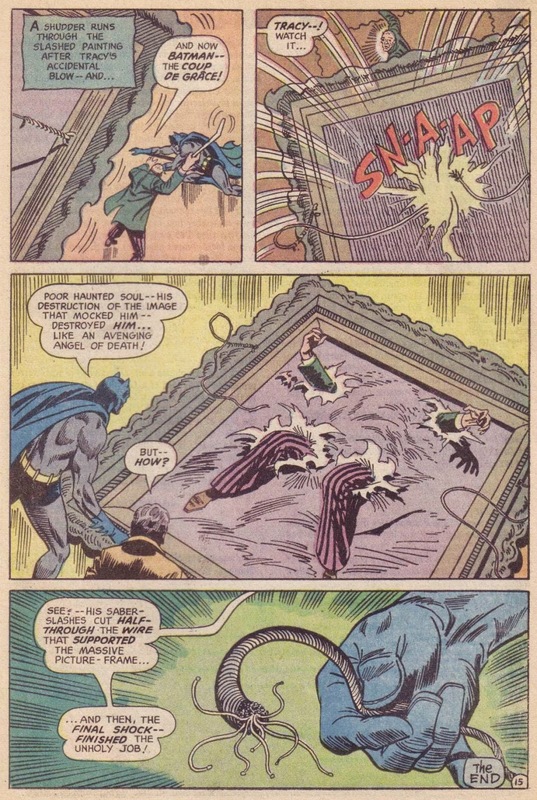 Anyway, it's always good to see the actual 'detective' side of Batman, even if the solution is blindingly obvious. 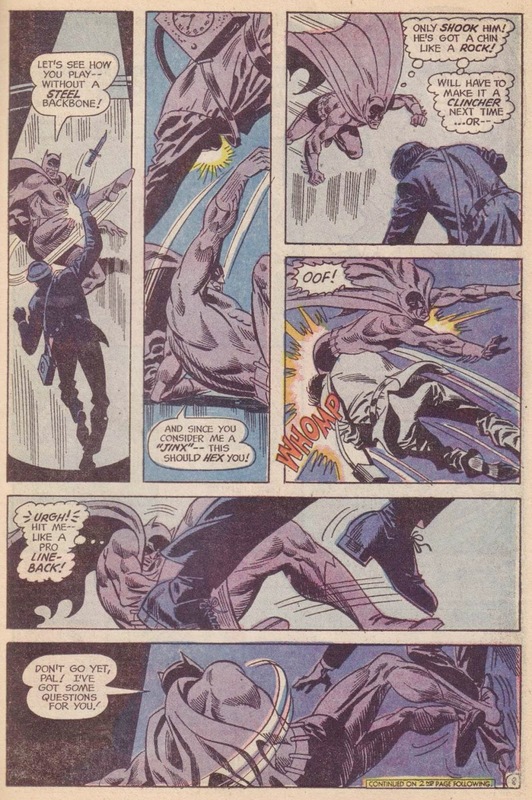 Plus, Brown's characters are always, always in motion ( which is just one of the reasons I always liked his drawing style ), in fact they're generally in completely over-the-top, all-limbs-extended motion, like in the excellent fight scene here. 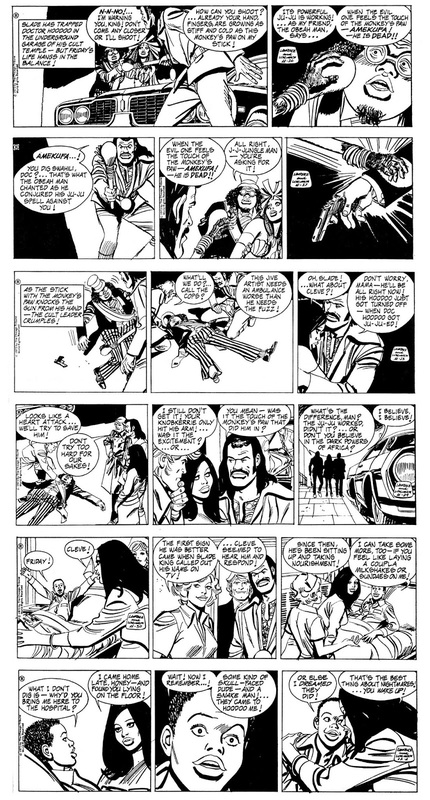 People are very rarely just standing around in a Bob Brown strip, and even when they are, they seem just about to spring into violent action. 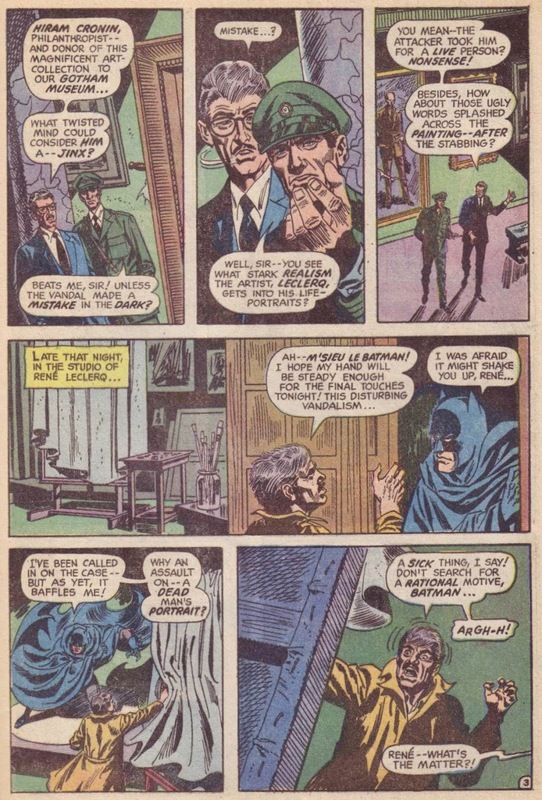 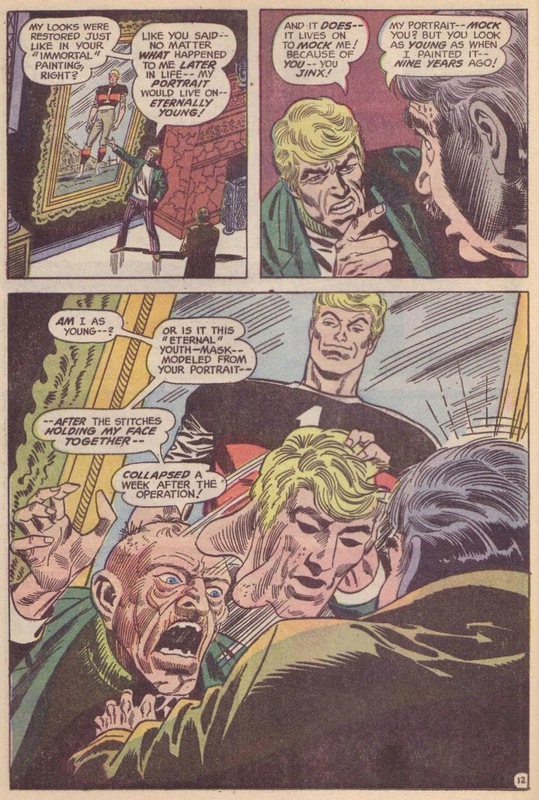 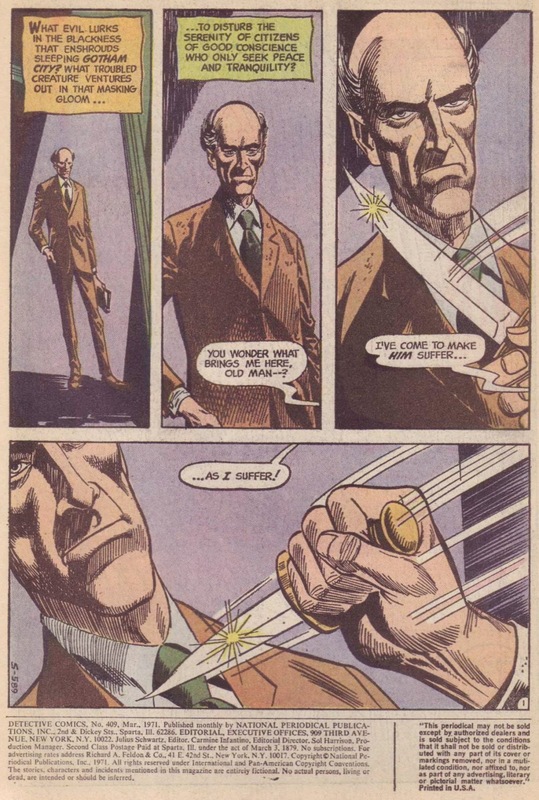 Note also the page where the villain reveals himself, and the smirk on the portrait looking down on him. 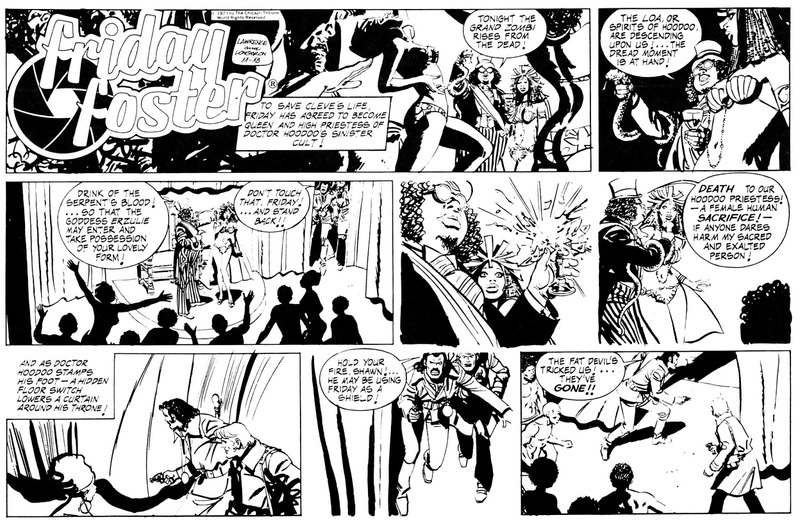 THAT'S a storyteller.